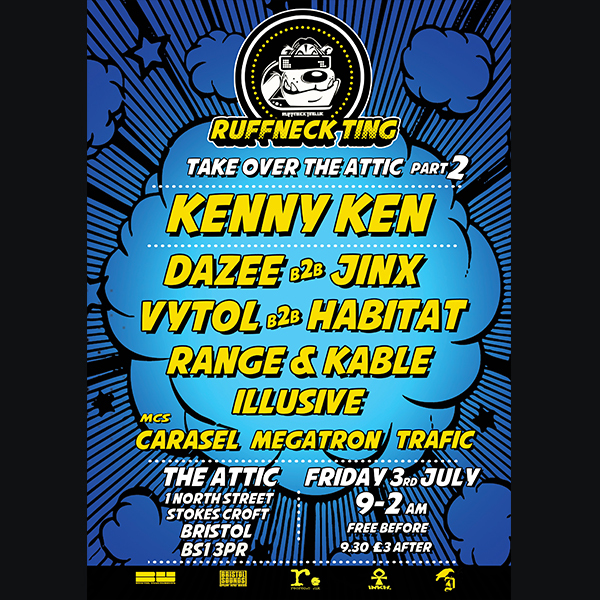 We’re back at the Attik and bring one of our all time favourite ledges, the incredible Kenny Ken, to play alongside our all-star Ruffneck Ting Residentials. From 9-2am we’ll bring you the best in dubplate laden vibesing jungle/dnb. The last party here with the sensational Saxxon ROCKED so to say we’re looking forward to this is an understatement. And… its FREE before 9.30 and only £3 after. Madness! …er…see you there!